This week I talk with Dee Sewell, owner and manager of Greenside Up, to find out about the various aspects of her business, the elements she enjoys most and what led her to this career. 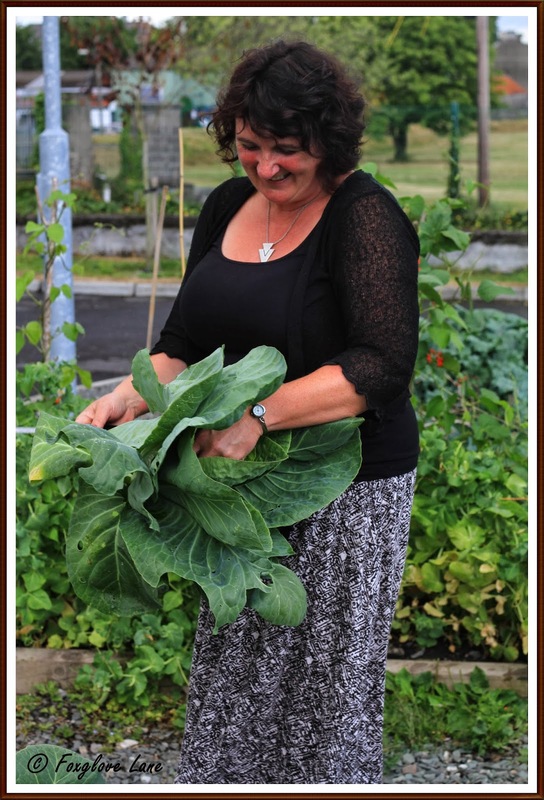 Dee Sewell is a qualified horticulturist and trainer with a passion for the environment and growing vegetables. She founded Greenside Up is 2009 as a way to shows people how to grow their own vegetables without chemicals and to lead more sustainable, self-sufficient lifestyles, causing as little impact to the environment as possible. The aim of Greenside Up is to teach as many people as possible this basic life skill, either through workshops or community gardening, virtually through social media and more recently in the form of the Greenside Up Seed Gift Collections. Hi Dee and thank you so much for agreeing to do this interview. Since I joined the social media and blogging realm I have got to know some really interesting people in various walks of life. You are definitely one of those people… I really love your blog and have already got some great and practical tips from you as you frequently use social media to share your knowledge and answer any questions posed. This interview series is all about how people communicate their area of Science or Nature to the general public and I think you are a great example of how this is done successfully. Firstly, can you tell us a little about yourself and how you came to set up your business “Greenside Up”? Was this something you always wanted to do? No, not at all. For around twenty years I was working as a PA in London then moved to Ireland to live a simple life, rearing our children and living off the land. Life doesn’t always work out as we plan however and the reality of bringing up children is that we need an income! I wasn’t keen on returning to an office based job working for someone else after being ‘my own boss’ working as a full time mother, so when our youngest started school I went back to full time education myself and studied Horticulture. It was during that time that I had the idea for my business and set it up immediately upon finishing my course. In retrospect, were there any elements of your life as a child that lead to your current choice of lifestyle and career? I always loved nature, animals and the environment living on the coast as we did. Weekends and evenings were almost always spent outside, walking across fields or heathland or swimming in nearby creeks. My summer jobs were spent working in a greengrocers and a tomato farm though I only realised the significance of that recently! As a late teen onwards I was a member of Greenpeace and Friends of the Earth and given that it was in the eighties with no internet, I would often be firing off handwritten or typed letters to my local and parliamentary MPs about saving whales, the rainforest or the ozone layer. Nowadays it’s much easier to express our concerns with online global petitions and social media. Can you tell us a little bit about each of these aspects of your work? Do you find it easier to communicate with people individually or as a group? Or are there different aspects of both that you like? I enjoy them both but most of my work now is with groups. I primarily work with adults but have worked with children from 4 to 12 at an after schools club and teenage boys from a village youth project. The after schools project took place during the winter months so was mostly indoors but we looked at everything from nutrition to bulb planting and wildlife. I enjoyed my work with the teens immensely as to watch them show a marginal amount of interest in seed sowing then to see their expressions when the plants actually grew was so rewarding! (Read Dee’s blog about this project here). You also added your lovely seed gift collections as a more recent aspect to your business. I love the idea of each collection having a theme. Where did the idea for the seed collections come from? How did you decide on the themes for each collection? Are you involved in all aspects of the seed collections… from sourcing, packaging, design and distribution? Thank you! I have to confess to getting a lot of help from friends. My husband was working in the US when I had the idea so friends were vital in seeing the project through in the tight two month deadline I gave myself! Initially a friend in the UK who worked as a seed manager advised me with regard to the seed collections then close friends nearby became my marketing and design advisor’s and critiques! The Secret Garden centre in Cork were a real help in terms of retail advice at the beginning of the project and were the first online business to sell them for me. I designed and developed the seed cards myself, from printing, ordering, packaging and distribution. Keeping the products as environmentally friendly as possible has been very important and all seeds are guaranteed GMO free and untreated, with as much of the packaging sourced from recycled materials as possible. What little things have you changed in your business and personal life to contribute more positively to the environment in which we live? Do you have any tips or advice of some small changes that others can make? We’ve always been environmentally aware, recycling and reusing for many years now. One of the changes I made after the initial launch of my business was to become paperless as much as I can. I used to print out reams and reams of notes but realised that on the most part they would be thrown into a drawer and not looked at again. I now email notes whenever I can and use my blog/website to create new content for customers. I can include topical recipes or pest control – people will always know where to look and not lose the notes! I am a really big fan of your blog*, I love the diversity of subjects, the knowledge and honesty and the companionable style of your writing. 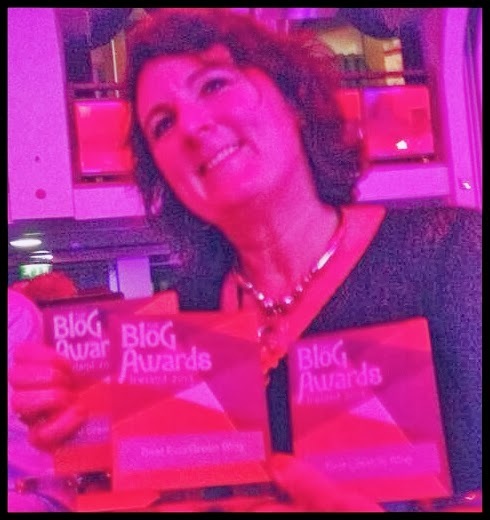 How long have you been blogging and why did you start? How do you feel it compliments your work? Thank you again! It’s lovely to hear that people are enjoying the content as I sometimes worry that my content is too varied! I started blogging in 2009 not long after I launched my business. Lorna from We teach Social suggested I start blogging as a way of advertising my business, keeping my website on google’s radar in terms of SEO and as a new business showing people that I know what I’m talking about. It took me a while to feel comfortable in my content but I kept going and attend the monthly KLCK bloggers network whenever I can to meet other bloggers, talk and pick up tips which has helped a lot. I primarily blog for my customers now and the groups and gardens I work with are my blogging inspiration. Often my posts will have been as a result of conversations or questions asked during the gardening sessions. I love writing and ‘think blog’ all the time. I tell my husband when I’m tapping away at the keyboard that it’s work but the reality is that my blog is a working hobby. I’m currently working with three community gardens – my hours are being funded by the Kilkenny Leader project for two of them and we’re going through some very exciting times creating business linkages and products from the vegetables we’ve grown that will be launched at this years Savour Kilkenny food festival. I would love to see community gardens in every town and village across Ireland and believe this is achievable once others see and realise the many benefits. And what are you hopes for the future of Greenside Up? I’m not sure where the future lies at present. I’ve just started a European funded INSPIRE course through Carlow IT to help me develop some ideas surrounding social entrepreneurship – hopefully they won’t be wasting their money on me! Watch this space! To find out more about Greenside Up check out ..the website, the blog the facebook page or contact Dee on twitter.